All eyes will be on the Galaxy S10 series on February 20th, when Samsung will host its Unpacked 2019 event. However, the Galaxy S10 series smartphones won’t be the only new products to be announced at the event, with the Galaxy Watch Sport getting name-dropped in a couple of leaks in the past few weeks. 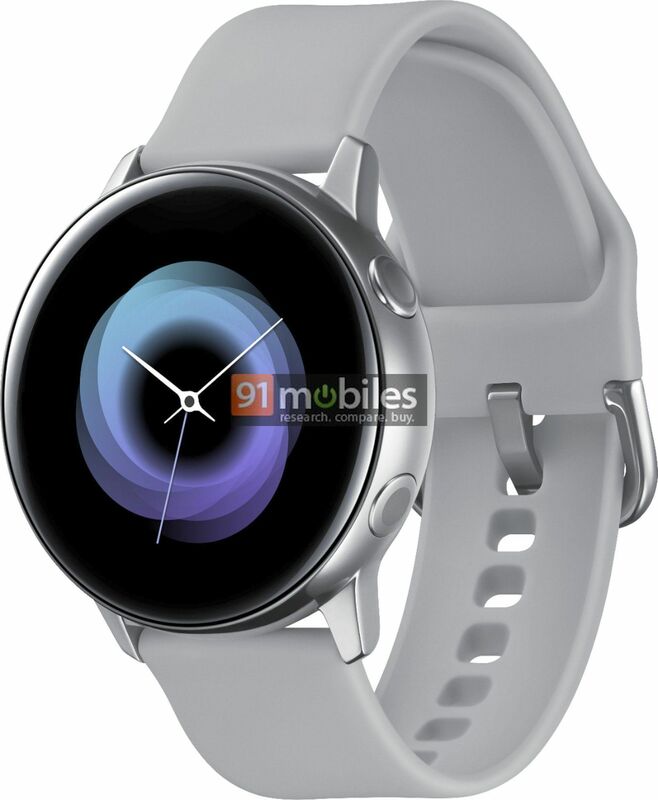 Now, 91mobiles has received an exclusive render detailing the design of the upcoming Galaxy Watch Sport from a reliable source. The Samsung Galaxy Sport will be the first sports-focussed smartwatch for the company under the Galaxy brand name till now, the company has used the Gear branding for this series. As you can see in the image, it will feature a round dial with two circular buttons to perform the key functions. It has a brushed metallic finish in chrome colour and a more premium look to it than previous sports-oriented smartwatches. The buckle for the wristband has the same finish as the dial. While the rear casing of the Galaxy Watch Sport is not visible in the render, we can expect it to have the same sensors as the previous models. These include sleep monitor, step counter, activity tracker, heart rate monitor, and GPS. And considering it’s a Sport model, the smartwatch should also have some sort of IP certification for water- and dust-resistance. Previously, the Samsung Galaxy Sport smartwatch was recently certified by the FCC in the US, NRRA in South Korea, and NCC in Taiwan. It has the codename Pulse and model number SM-R500. It will reportedly be the first smartwatch with the Bixby Reminders feature, have 4GB of RAM, Wi-Fi, and Bluetooth. The smartwatch will also support mobile payments via NFC.